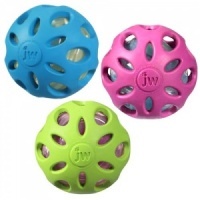 The JW Treat n Squeak is a fun rubber ball that also dispenses treats as your dog plays. 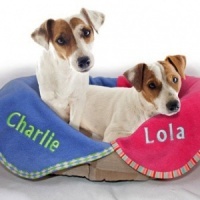 It cleverly combines your dogs love of toys and treats. 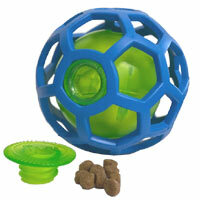 One side is a squeaky ball while the other side is an open lattice design where large treats can be stuffed. 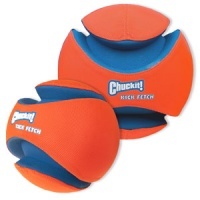 The ball is made from natural rubber. 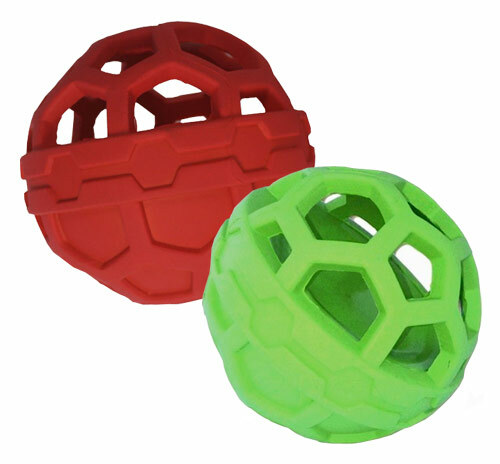 Load the treats into the open side of the ball and watch as your dog gets rewarded as they play. 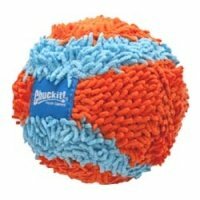 And for added excitement, this entertaining ball also has a squeaker. 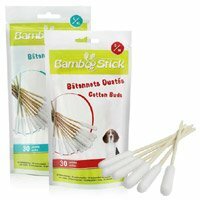 Interactive treat toys are great for your dogs mind, as they work for their treats while having fun playing - stimulating the mind and the palate. Size approx. 3 inch diameter. 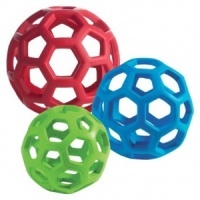 The holes in the lattice are where the treats get dispensed from so this toy is not suitable for use with small treats. 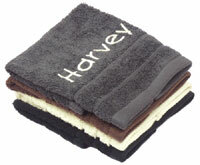 I bought this item for my miniature schnauzer. She is normally a bit of a scardy-cat when it comes to new toys but she loves this!